You can ski and climb around the world, but until you’ve waited at the corner of Chicago’s Michigan and Grant, you haven’t truly experienced cold. 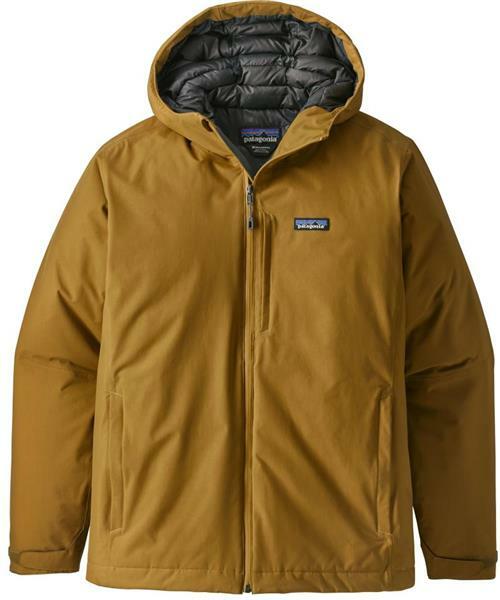 Made for bitter, wet conditions, this warm, insulating jacket blocks wind, snow and freezing rain while holding in your heat no matter where your find yourself. The durable H2No® Performance Standard shell combines an 80% nylon/20% polyester plain-weave fabric with a waterproof/breathable barrier and a DWR (durable water repellent) finish for exceptional wet-weather protection. Insulated with Traceable Down (600-fill-power duck down traced from parent farm to apparel factory to help ensure the birds that supply it are not force-fed or live-plucked) the Windsweep feels light, stuffs easily and stops cold air from running away with your heat. The 2-way-adjustable hood has a drop-collar design for exceptional coverage without impeding visibility. Interior storm flaps cover the front zipper and create a zipper garage at the chin, which is lined with microfleece for skin-friendly comfort. Two handwarmer pockets and one chest pocket feature coated, watertight slim zips that reduce bulk and weight. A dual-adjust drawcord hem seals out cold drafts. Hip length.